I just watched "Jeff Ross at Brazos County Jail" on Comedy central, and I think all Americans should watch. If these people can laugh at themselves, any of us can. Bill Maher is right, Americans need to get a sense of humor. Jeff is harsh, and pulls no punches, but even the most personal jibes did not rattle them. 2.7 million Americans have a parent in prison. According to the Bureau of Justice Statistics, one in three black men can expect to go to prison in their lifetime. Saw cops bringing out a young white man in handcuffs. 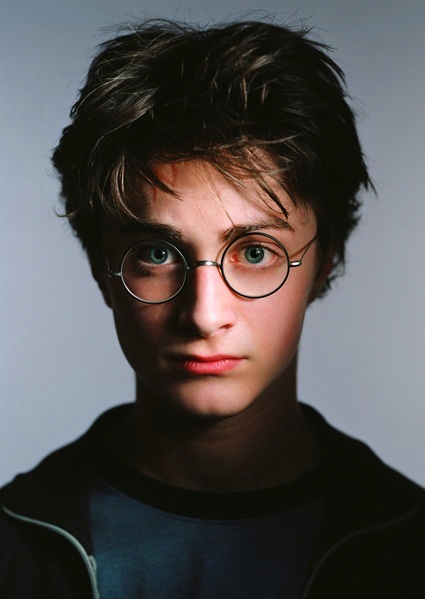 He looked a little like Harry Potter. I don't know what his offense was, but my guess is that he will never see the inside of a cell. 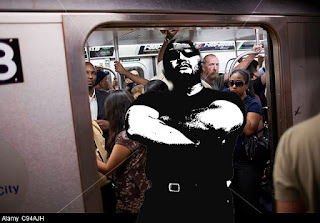 I have been riding New York City subways since I came here as a young man in the 1980's, so I have seen some things best forgotten. But in the past 10 years after becoming disabled by a massive stroke, and having trouble walking, I have seen a lot more memorable events, on nearly every trip. I ride the A train the most, from Washington Heights to the NYU area often. I have trouble walking and no feeling and little movement on my left side. As sitting to standing is problematic, and slow, I often do not take a seat when offered, especially if only a few stops (except of course in that long stretch from 125th street to Columbus circle). I usually get up and stand by the doors a stop before I have to get off to be sure I can exit easily and avoiding walking on the moving car. I know the trains in Manhattan well enough to generally know on which side the doors will open. About two weeks ago, I was riding the C train (I think) and experienced something that all riders rightfully fear. I was standing at the door, holding on to a pole and my cane with my right hand, ready to exit as soon as the doors opened. When the train stopped I heard and felt the packed crowd close behind me start moving. At the moment the doors opened, a self-important man in a suit pushed his way through, saying nothing but leaving some very angry people in his wake. He got to the door by pushing people aside, and the next thing I knew he pushed me out the door and I fell down flat onto the platform; when I looked back I saw that my legs were still in the car. As I heard "watch the closing doors", my brain did those quick calculations that it does in sudden danger. Should I try to pull my legs out, and if the doors closed on them, how would I contort myself to avoid the wall at the end of the platform when the train started down the track. Or should I attempt to pull myself back in, risking my torso or head sticking out the doors. Meanwhile, Mr. They-can't-start-the-meeting-without-me stepped over me and ran off, looking back and yelling testily,"thanks for getting out of the way!". I could see only his Versace-clad legs churning off into the distance. I turned back to look in the car, my experiencing that micro-moment of utter confusion and panic. I glanced up and saw a huge, mean-looking young black man, extending his meaty fist to me like a gargantuan god reaching down from the heavens. He graabbed my right arm and yanked me into the car with one huge but smooth motion. A few people around him helped get me to my feet. I felt like hugging him -- but that seemed a little weird, even for the subway. The doors closed and I got off at the next stop. Isn't this an important question? what is the frame rate we use or do we just treat it like any other second? A leap second is a one-second adjustment that is occasionally applied to Coordinated Universal Time (UTC) in order to keep its time of day close to the mean solar time, or UT1. Mobile-friendly - A leap second will be added on June 30, 2015 23:59:60 UTC. A leap second is a second which is added to Coordinated Universal Time (UTC) in order to synchronize atomic clocks with astronomical time to within 0.9 seconds. A leap second will be added on June 30, 2015 23:59:60 UTC. Atomic clocks are slightly too accurate. second is added to the time at your location. Can we live without leap seconds? The difference between UTC and the International Atomic Time (UTC-TAI) after the next leap second has been added on June 30, 2015, will be 36 sec. are they ever going to match up? The International Earth Rotation and Reference System Service (IERS) in Paris, France observes the Earth's rotation and compares it to atomic time. When the difference between the two approaches 0.9 seconds, they order a leap second to be added worldwide. Check our Time Zone News for updates about leap seconds.